Karin was nominated for Best Individual Achievement of the Decade and came in behind Sir Paul McCartney and her good friend, Global marathon runner and world record winner, Fiona Oakes. 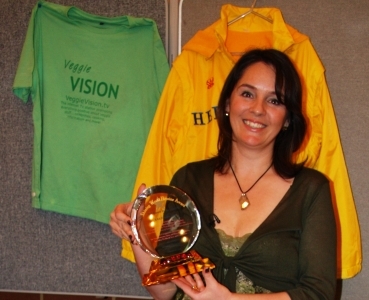 Karin is the founder of VeggieVision TV – the internet TV station that addresses the fact that in the UK there are no veggie friendly TV programmes. Showing short film clips of cookery, information, experts, celebrities, comedy and now with real people professional presenters in the UK, Hollywood, Paris, Hawaii, Thailand and other locations. Karin is now writing for Leona Lewis’s blog as well as being the vegan expert for Ocado. 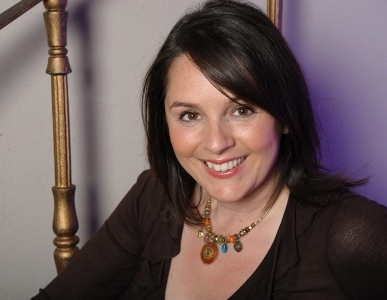 Karin has recently filmed with a number of celebrities, including Brian aMay, Virginia McKenna, Martin Clunes, Anthea Turner, Lorraine Chase, Matthew Wright, Wendy Turner Webster, Laura Hamilton, Peter Eagan, Rick Wakeman and Helen Chamberlain. 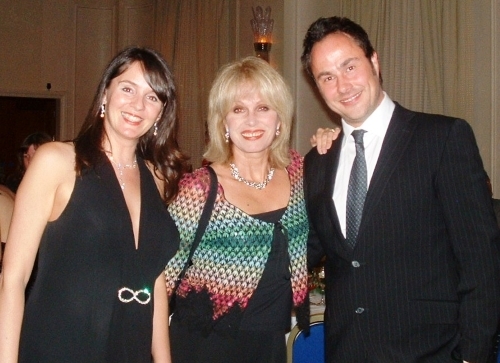 Moreover, she has interviewed Sean Hughes and Joanna Lumley. She is also talking with some amazing veggie celebs and now friends including Sarah Jane Honeywell, Victoria Eisermann and the K 9 Angels, Rose Elliot and Wendy Turner Webster. Karin helps as many pro bono clients as possible – her work saved a local animal sanctuary from being closed down and she has helped raise more than £40,000 for animals, meaning that two UK based animal sanctuaries' animals did not have to be put down – saving the lives of over 300 animals. Karin has taken part in more than 100 radio interviews – all promoting how easy, fun, healthy and kinder it is to lead a vegan life. She was asked to be the voice for vegetarians in the UK and recently appeared live on Sky News addressing the horse meat scandal. She has now been asked to write for other publications in connection with veggie living and has recently written for various trade publications on how and why they must cater for vegans and vegetarians. Karin regularly meets with key personnel from the catering industry and with the power of VeggieVision behind her, they listen to how and why to cater for vegans. She has liaised with the managers of Centre Parcs, Butlins through to the best restaurants and hotels in the UK – 5 Red Star Chewton Glen and Roux at the Landau.